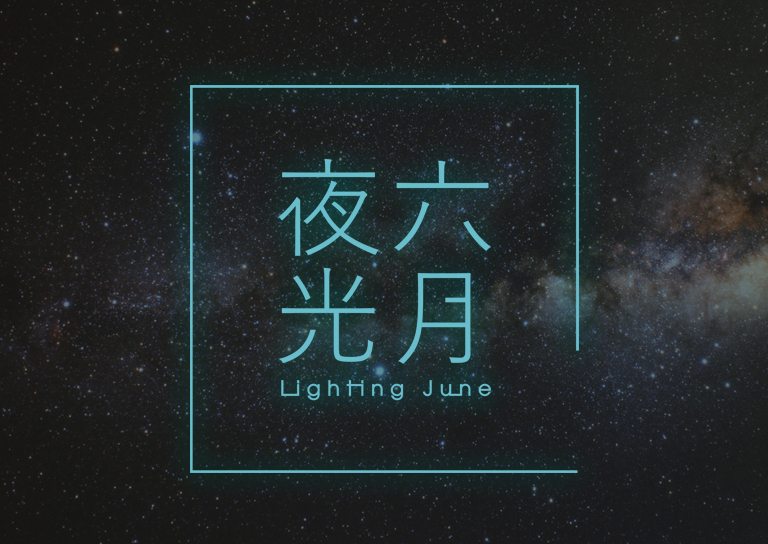 In this summer, The Arcade will team up with Dreamcatchers to present the luminous-themed “Lighting June”, a 5-day event on the weekends of 23rd, 24th and 30th June, 1st and 2nd July. Three luminous container houses, street music performances, 12-constellations art installation, “Fantasy Land”, and the luminous market and workshops will be assembled to present a wonderland of lights, creating an artistic, fashionable atmosphere, and welcome all to begin a journey of light exploration. The luminous containers from last year will be come back with coloured walls decorated with classic lyrics painted in fluorescent colour, it will be a sure fire hit across all social media platforms. 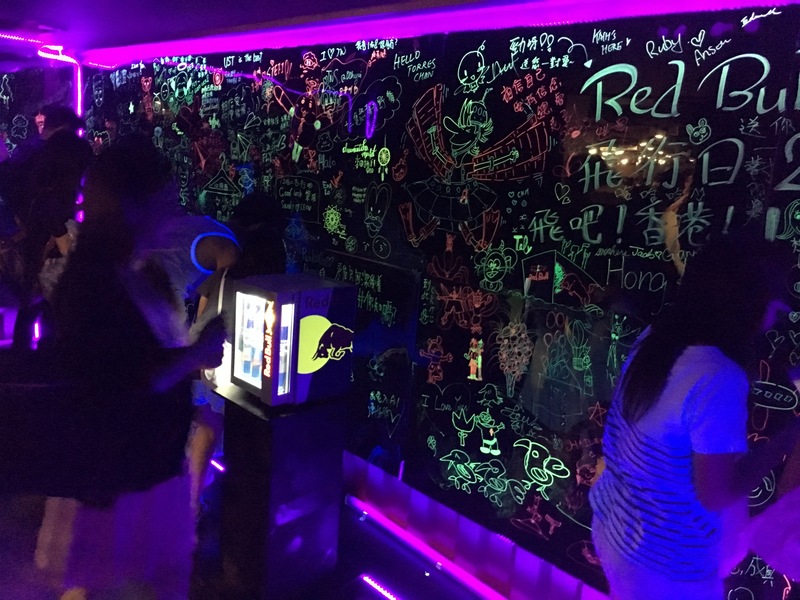 In pitch-black container house, you can paint the walls with fluorescent hues and leave your mark. 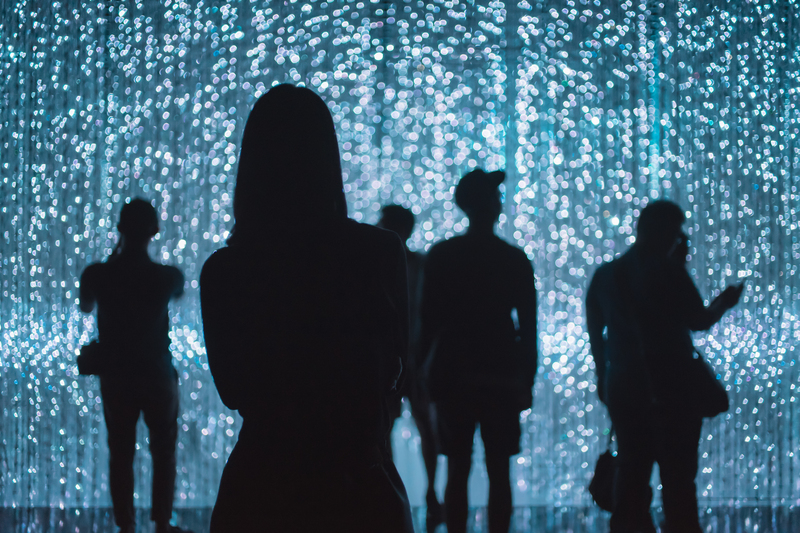 Furthermore, Hong Kong’s first ever “DIY LED Lighting Wall”, which made of thousands of coloured LED lights, allows guests to create anything by rearranging the LED lights! On the other hand, “Lighting Mirror” of the container house turned into a starlit sky, a visual feast attracting all to stop and gaze. Every container house has its own fascinating attractions where you can bathe yourself in lights for a dreamy breezy afternoon. To coincide with the luminous theme, The Arcade designed a colourful neon forest that combines light and nature to create a fantasy world. This forest is a heaven with the sci-fi lights and shadowing effects, presenting a bright and dazzling environment. Over 1,000 tiny light strings will hang from the top of the tree, creating a starry night effect with dazzling displays. Immerse yourself in the beautiful world of light and shadow, in the midst of the city’s glorious skies. The Lighting June Bazaar gathered stalls with elements of wood, floral and fabric. Local arts and cultural trendsetters are inviting famous handicraft brands to set up in the markets, selling distinctive hand-made products such as clothing accessories, leather, aromatherapy, and jewellery, and the most notable luminous booth. The luminous jewellery produced by “Raccoon Land” and “Welentine” is made from natural sand, sterling silver and zircon. The simplistic designs shine in the dark, adding a sense of mystery and uniqueness. 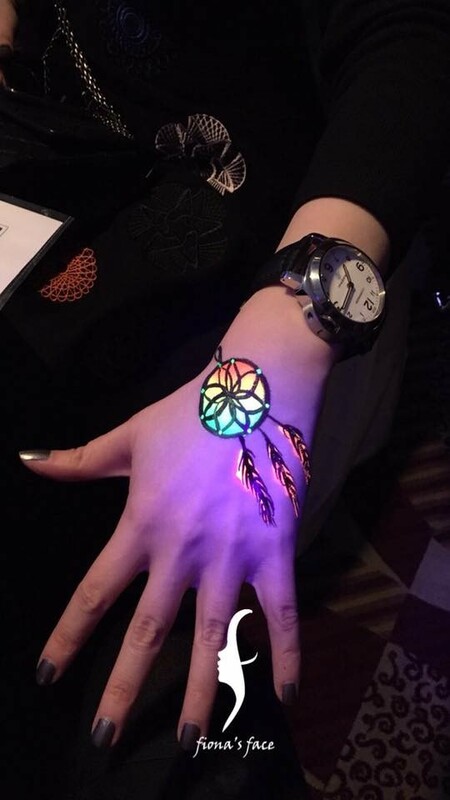 Furthermore, the market is providing a limited luminous Henna tattoo service, which is considerably different from traditional Indian henna and inkjet tattoos, allowing revelers to demonstrate their hippy side! 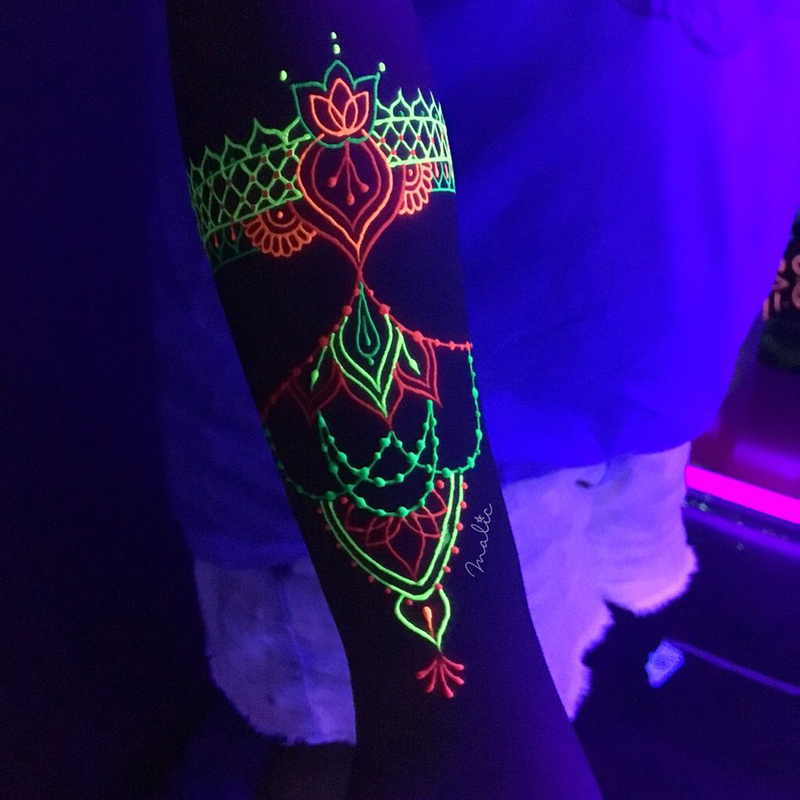 “Fiona’s Face” will design one-of-a-kind fluorescent illustrations, luminous and Henna tattoo services depending on your preference. 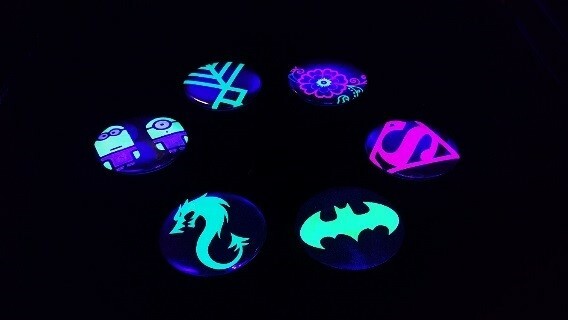 And “Malic Handmade” will also sell special luminous hand-painted products such as wallets, jewellery boxes etc. 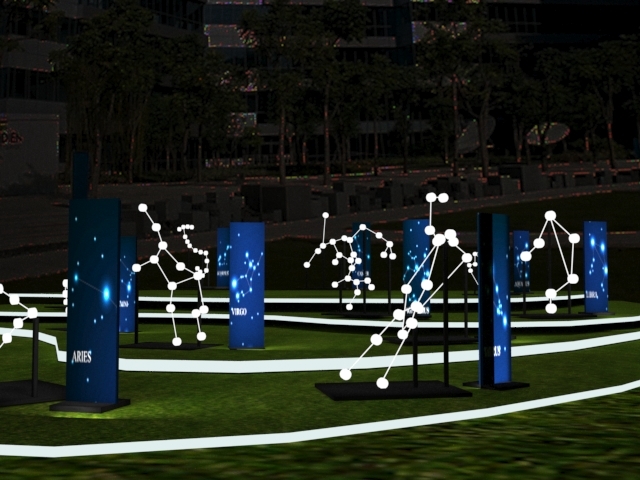 12 lighting horoscope installations inspired by the constellations can be found at the outdoors, where multiple luminous balls and fiber optic lights depict the stars. There are corresponding introduction plates on the side of each installation, making this the perfect spot for families to walk and enjoy a peaceful afternoon. Walk through “Lighting Garden” and you’ll find yourself at the “Fate Teller Stone” where lovers can find out their fortunes. 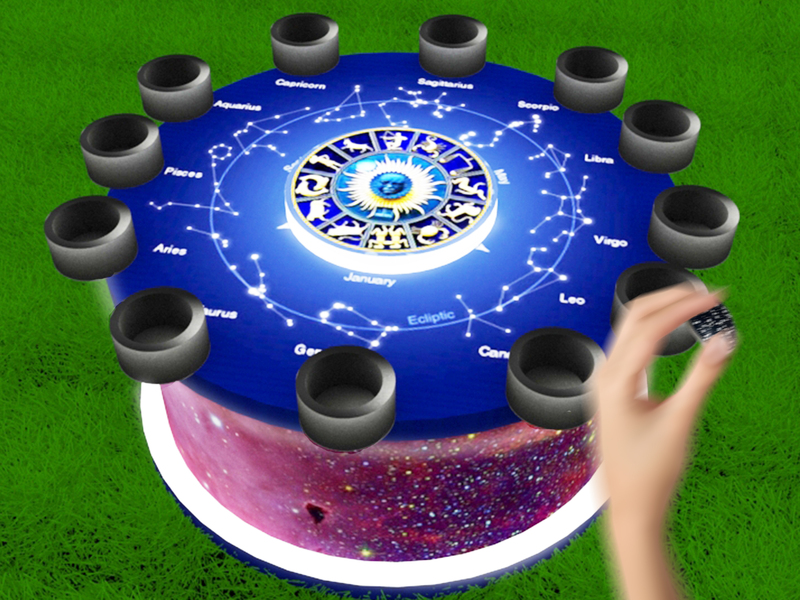 Happy couples can choose their own constellation stones in front of the roulette and take a look at their future and compatibility. Once with a partner, the wheel will give the couple a brief analysis on how to get along with the other half, and tread the future path more confidently, allowing the couple to cherish and protect the love more consistently. Lighting June has prepared the ‘Luminous workshop’, allowing everyone to tap into your artistic sides, and employ fluorescent colouring materials to create different patterns, making a unique luminous gifts. Summer has never been this colourful!